Hot off the heels of their 2nd LP Waterbury Street, garage-mockers The Above are back in action and ready to roll! 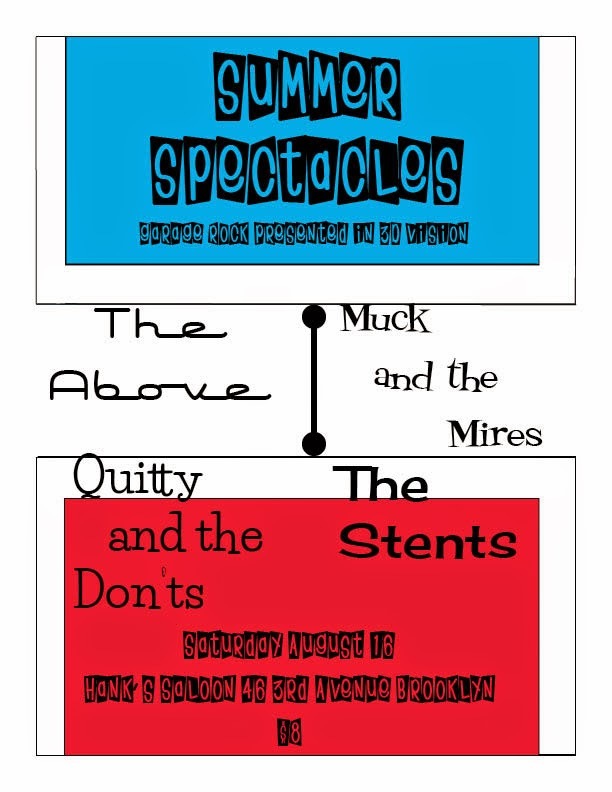 Boston Garage legends Muck & The Mires make their long awaited return to the Brooklyn stage! Busy year for them as they have just released a single on King Yum Inc. and soon to release another full length on Dirty Water Records! Baltimore titans The Stents return to Brooklyn with their dance steps, surf twang and merseybeat melodies. Recent releases on their Hidden Volume Records will make the hips shake. Quitty & The Don'ts return to the Hank's stage after a successful tour of Texas. Their new single on Hidden Volume Record due out soon.